In my post A Wonderful Cup of Tea I wrote about a tea that a friend of mine discovered on a trip and brought back to me. Of course Brahmin is very close to my name so it was very interesting for me. The tea is also a very nice tea and I have been enjoying it. 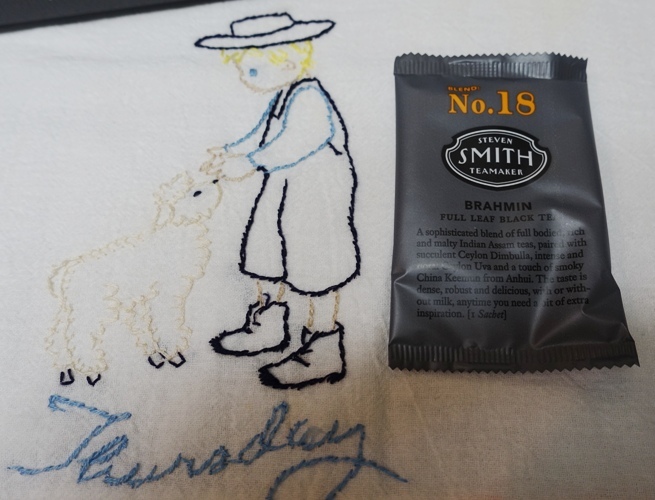 Early this month I received an e-mail from Smith Tea that the tea was being renamed to British Brunch. The next business day I picked up the phone and called Smith Tea to see if there was still a chance to get some Brahmin tea or perhaps some of the packaging. I wanted to have one of the distinctive tea cartons. Last week I had a package in my entryway with some Brahmin tea and a nice note. 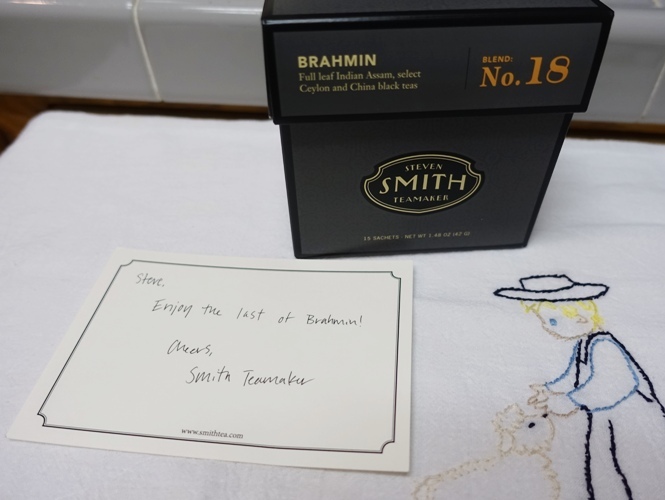 Enjoy the last of Brahmin! 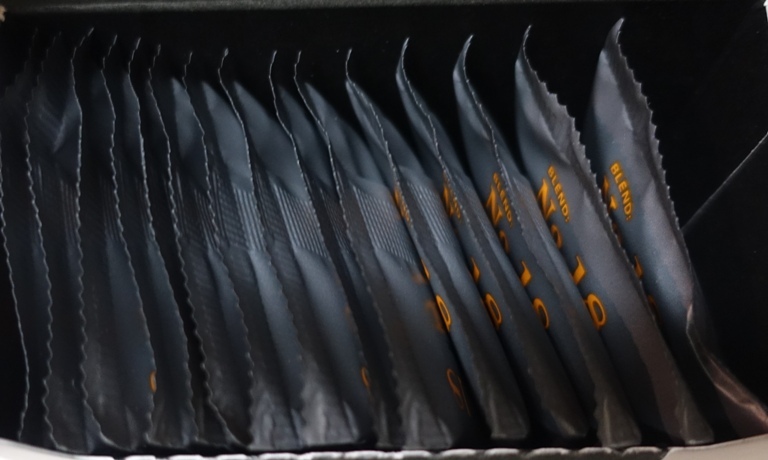 The tea sachets are individually packaged for freshness. Smith Teamaker has a color scheme for the different types of tea (black, green, white, herbal, etc..). 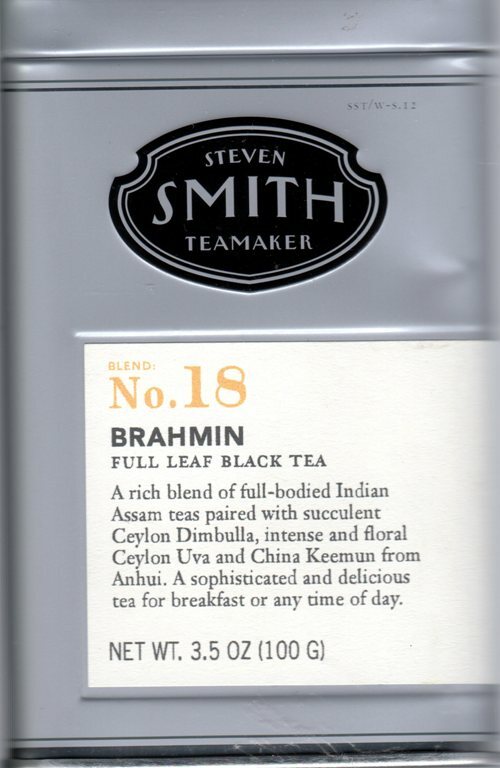 Since Brahmin is a black tea it has dark gray packaging. Here I am waiting for the filtered water to boil. You can see the sachet of tea instead of my infuser. The way that the sachets are designed allow for expansion and movement of the tea leaves so that you still get a good infusion. 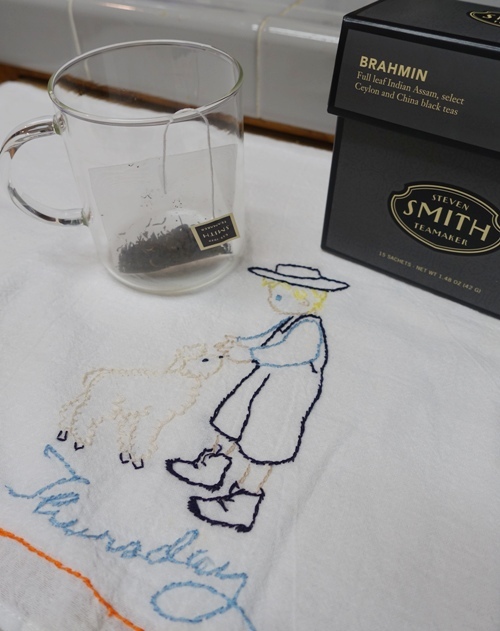 Last week I put in an order with Smith Tea for some oolong and pu-erh teas. I am looking forward to trying the Portland Breakfast, Bai Hao Oolong and Shu Cha Pu-Erh teas. Unfortunately you can no longer order Brahmin tea, but if you want to try this tea you can order some British Brunch. 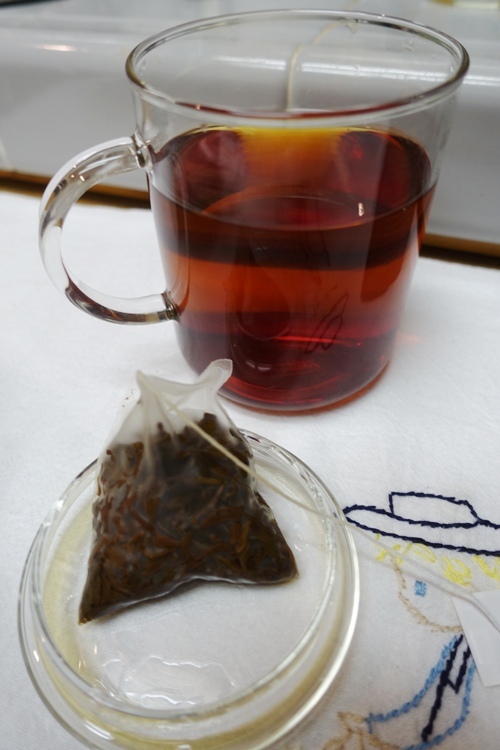 This entry was posted in Food, Tea and tagged black tea, Brahmin Tea, Breakfast Tea, British Brunch, infuser, loose tea, Packaging, Sachets, tea culture. Bookmark the permalink.